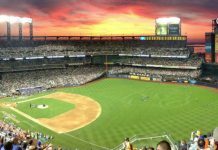 Dave catches up with Vince to discuss sectional times and how you can use them to your advantage when searching for betting opportunities. 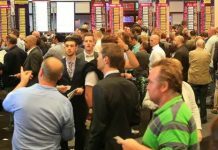 Vince has revolutionized the sectional times industry by providing truly accurate sectionals on his website DailySectionals.com.au. In Vince’s vast experience watching, analysing and re-watching race tapes paired with years at the track, he says that consistency is the name of the game when it comes to data flow and tracking sectionals. 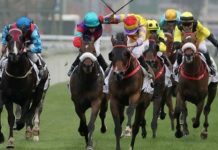 Whether you’re a national, state or carnival only punter, having accurate and consistent data for your preferred race type is critical when betting based on sectional time analysis. The absolute first thing you need to identify in a runner from a sectional times perspective. How a horse’s weight effects their closing speed and how that can affect your punting. Why using position in running can be a flawed metric. The trap many punters fall into with runners going up in distance. 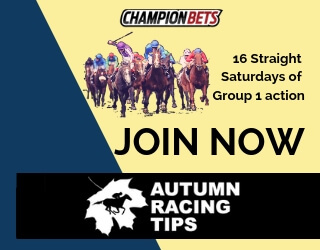 David: Hi, this is your host David Duffield and I’m the founder of Championpicks.com.au and I’m very excited to launch the Betting 360 podcast where we’re going to take a look at betting from all different angles. 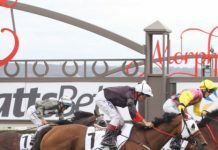 Today, we start things off with Vince Accardi from DailySectionals.com.au and Vince actually works closely with us in providing the most accurate sectional times that are available. 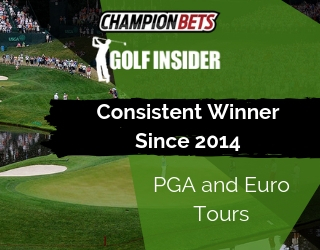 I think we’ve spoken a few times about the official data and just the lack of accuracy and lack of detail there so Vince has basically revolutionized the sectional times industry, and today we get insights from him on how you can use that to your advantage and find some good betting opportunities. 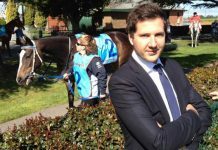 David: First ever Betting 360 podcast and who’s better to kick things off than someone who is almost part of the family here, that’s the one and only Vince Accardi, welcome Vince! Vince: Welcome, David! How are you on this fantastic day? David: Going very well, thanks! Really looking forward to having a chat. Now obviously almost all of your work is in reviewing races, you’ve spent half of your life watching videos and doing the digital timing but everyone listening today is a punter so I’d like to get your thoughts on different aspects of the form, just in general terms to get started. How do you think most punters can get the most out of sectional times and your information in particular? Vince: Well, I tell you, depending on maybe people have different aspects to where they like to punt, some people like to punt nationally or I was generally expecting the main problem in specific states. So the key element when it comes to sectional times is having some consistency of data flow. Really comes back down to being able to get information from each and every TAB meeting that is conducted in that jurisdiction. David: We’ve covered before lots of times about the accuracy or the lack of official data so we’re not getting to that anymore detail, but in terms of reading the sectionals ,assuming someone has access to your data or accurate data, what should they be looking for in the sectionals? Is it horses with the best closing speed that can accelerate? Is early speed just as important? Just give us your thoughts on that. Vince: Yeah, well, I feel one of the big tools that I’ve learned over a powerhouse use from a sectional times perspective is the profiling, it’s understanding the profile of a horse. Do they like fast pace, slow pace, are they one pace runners? Are they horses that have multiple sprints in their armor? That’s the key aspect that I like to first and foremost hone in on from a sectional time’s perspective. And then of course, from there, it sort of extends itself to getting clarity around tracks. We only recently had a race and we had a situation wherein a major course had all sorts of problems for the first time, if you’re on pace you couldn’t win. At a metropolitan track like Randwick, and it was discovered that when you’re looking at the sectional times all day, there’s a section between the 400 and the 600 metre mark that was several lengths slower and that had a huge impact on horses hitting the line hard. And that makes a big difference about the way you approach your form in a genuine way and whether you should or shouldn’t omit a horse based on that run. David: Obviously in hindsight that’s easier to asses than live but if you’re betting throughout the afternoon, how can you pick up something like that like a section of the track is a lot worse or maybe the official track rating is different to what it is in reality. How can you pick that up during the afternoon? Vince: Well how that’s picked up generally is the horses have been timed pretty much straight after each race. The data flows through and gives you a preamble of how that track’s playing. David: Right, okay. And so you mentioned the closing speed, the early speed, and multiple runs, what would you consider the most important or do you want a horse that can do it at both ends? Vince: I definitely love horses that have the capability of producing good sound, solid speed early and have data late to match that performance. They are usually the best mediums of horses to follow into future races. David: Do you think that, I know you’ve mentioned before about the sweet spots in a race and where that typically is? Could you explain in a normally run tempo, where do you think the sweet spot is? And also how the sweet spot changes depending on the race pace? Vince: Yeah, there are a number of variables. When there’s pressure, and I’m not saying super pressure, but good sound, solid speed, where probably more than half of the races are run at that pace. The ideal position is like an elastic band and that elastic band that I usually have is it is somewhere not further back than about six lengths but the optimum position is between 5 and 6 lengths from the lead pace approaching the 800. That’s the optimum position. Most runners, win the race from that position, when there’s accurate solid pace on. Now when there’s a different type of tempo with that sort of speed, like a good example would be, what we’re starting to see a lot of up the straight. Those 1100, 1200 metre races, years ago were just jumping, burning the turf and generally all going to the outside or inside. Nowadays, they have a tendency to run right at the middle of the track, but what they’re doing is, they’re sitting and sprinting. They’re running their first quarter or half race at a moderate tempo, usually on benchmark standard or just below the standard, and then using a sprint home. In those situations, anything further back than two lengths, you’re in a lot of trouble and you have to be an absolute superior horse to be able to come out of the top of them because it’s like a massive handicap. Usually people talk about handicap if a horse has got 52 kilos and the other one’s got 58 kilos…there’s a 6-kilo turnaround. Well, if you’re four lengths back in a sit and sprint race from the lead group when you approach the 600, that’s like having a 6-kilo weight penalty. David: Okay, so in talking about on-pacers and forgetting any other track conditions or the type of the course, if you’re looking to back a leader or join the pace of the race, do you want them to go slow and stack them up, do you want them to set a moderate tempo, or do you want them to go at a fairly good pace and break their hearts chasing? Vince: Well, see, that’s another really interesting point, and a good point too, David. When we see situations with horses that are rolling front runners, of course, I love horses that run on speed as well, but on speed with a caveat. The caveat is understanding the profile of that particular runner because if they go to the lead and they are a one-pace runner, and they go at a moderate tempo, most of those horses get beat. Because what will happen is when they get to a sprinting stage which usually takes place anywhere between the 800 and the 400 metre mark, what happens then, is those one-pace runners that just sort of cruise at one particular speed, if they don’t have enough break in the field, they’ll usually get run down because they don’t have a sprint; they don’t have gears. David: So in some races, jockeys are congratulated for stacking them up but in a lot of circumstances, unless the leader has a really good kick, that won’t necessarily suit the on-pace runner that is a grinder or has a higher cruising speed than the rest. Vince: Absolutely! That’s definitely the case and many times, yes, jockeys congratulate for their brilliant riding tactics but it depends, it depends whether they’ve been fueled by another runner or not. If they’re completely left alone, the jock is usually the genius because if left alone, they sort of roll along in their own pace. They know what sort of runner they have underneath them sprint-wise and they’re usually too good. But if they’re fuelled, and the jockey still wants to hold that lead position, then there’s a real issue with whether the jockey has made the right move or not. David: Well, what about back markers, they’ve got plenty against them in a normal scenario but what circumstances suit them? Is it a fast pace where the leader’s puncture? Is it a slower pace where they don’t have as much ground to make up? When would you look at a backmarker as being advantaged? Vince: Well this is the situation now, this is a real big challenge and many people would say look at the race speed, we just look at that early speed section, and we don’t really pay as much attention to the middle part of the race or the late part of the race. Generally it’s not easy to get that kind of information. It’s not that people don’t it though because I’m sure there are some elite players that use those tools. So what happens is this: if a back marker has fallen six lengths off the speed, they can still win if there’s good speed, but if it’s a big field and the back markers are 15 lengths off the speed, well then they virtually have no change. We typically see a horse and think, but he was ninth in running so that means he was a backmarker but he might have only been 5 lengths off the speed. Well, that’s a winning position still, if there’s good speed. That’s probably a great spot to be! But if you’re a backmarker and you’re running ninth of 12 horses, and you’re 14 lengths off the speed well then you have no hope. David: Even if it’s a cracking pace? Vince: Even if it’s a cracking pace, you’re too far back. Very few horses make it that far back and they’re probably the worst betting medium. So the definition of backmarker really needs to have, it needs to be bracketed with a real serious understanding of what that terminology means. Backm marker in which respect? How many lengths from the lead pace are they at the 800, that’s what I call a backmarker. David: That’s really interesting because I’m sure most people would look at positions in running in assessing back markers but you’re saying it’s really lengths behind the leader that’s a better indicator. Vince: Absolutely, that is the key indicator. David: Well, just talking about overall times or sectional times. Obviously, a fast time is an indication of a good quality horse but the last start performance say a slow time doesn’t necessarily mean that the horse is a poor quality. Do you want to just talk about the circumstances of that and why you shouldn’t just put a line through a horse if it hasn’t run time last start? Vince: So what happens, when you look at the horses that run at a slow early pace, they generally run really fast late sectionals. Now, if I they don’t, that’s when we fall into the range of mediocrity for horses. When there is a slow pace, that’s when I look for really sharp closing data. If they don’t show sharp closing data, then I have to think twice about how strong is that race, really. David: Alright. In terms of distance changes, I know yourself and Rick in recent times I’ve seen quite a few occasions where you’ve potted a horse that’s going up in distance that you think would be suited because it has a finishing burst. But the data suggested that the finishing burst won’t be there over the longer distance. How can people assess that for themselves or what should people be looking for in terms of sectional times and backmarkers with strong finishes going up in distance but unlikely to be suited by that? Vince: I think a perfect example is one that we’ve just seen recent times with a horse called British General as it presented itself in the last couple of weeks in races with a distance of 1600 metres. It’s typically being racing at distances of 1400 metres or below. And yet that horse is very firm in the market as a real key chance. When you look at its data, the things that you need to look for is that horse is an aggressive horse in a sense that it can be really tactical when positioned in a forward spot. Regardless of how fast or slow they go, it’s that type of horse. And the way you typically identify that is by bench marking. When I say bench marking, I’m talking about bench marketing in such a manner that you can use it in a form regardless of distance and bring it back to a normalized state. So what happens is when you start seeing deteriorating data late, that’s the first sign of a horse potentially not being able to get distance. David: You see that quite often where the market doesn’t take into account the change in distance well enough. It’s a fancied horse but based on your data, it’s highly unlikely to get the trick. lengths. He should easily get for the 1400.” And yet, what probably they may not have taken into consideration is that horse is just a supreme 1200 metre horse and when you extend that to 1400, it doesn’t have the data to match that because to make a runner go another 200 metres when they’ve been racing in a particular speed, it’s very difficult to do that. David: The reverse can be true as well can’t it? Where you’ve got a horse who’s an on pacer going up in distance and some people might think that it’s gonna get tired late. But in actuality what happens is the reduced pace or reduce exertion from a longer distance race means you’ve still got something left in the end and they could get the trip. Vince: Very, very true, David, there’s a number of races where horses are stepping up like particularly from 1600 metres to 2000 metres and even sometimes from 1400 metres to 1600 metres. The race pace can change dramatically and those front running horse can conserve 4, 5, or 6 lengths of energy through that first half of the race and that’s absolutely vital for them to be able to finish off late. That is why you see a number of horses that step up in distance and actually get the trip because they conserve that abundance of energy. David: So let’s finish this up by talking about acceleration I know it’s a key component in identifying decent quality animal. What are you looking for, whether it’s from the 800 to the 400 or 400 home? What are you looking for in terms of acceleration to make you say this is a good quality horse? Vince: I’m always looking for acceleration. I love a horse who has what’s called the hidden fractions. So we can clearly articulate their sprint capabilities. I love it when it see it mid race as much as I love it when I see it late. When I see it mid race, a huge burst of speed, whether it’s a span of 200, 400, or 600 metres, what it shows me is it shows me how forward and how well that horse is traveling. There are so many great opportunities when you can identify that in a runner. David: What about weights. You’ve got some punters that swear by them and some who just ignore them totally. What is your take on weights and how it affects the horses’ ability to accelerate? Vince: There’s no data that the weight does have an impact on the acceleration of horses. It’s like when they go from 55 or 56 kilos and all of a sudden they gotta carry 58 or 59 kilos, it does impact the sprint. Of course it’s dependent on the distance and dependent on other qualifications. I see it a lot less obvious when a horse is carrying 52 or 53 kilos to like 55 or 56 kilos but it’s a lot less obvious when there is a big shift in the weights. When horses are up high in the weight, 58 or 59, I notice that it impacts their speed and it’s very important that they’re not over exerted early. Not so much over 1100 metres, but once we start getting up to 1200 plus range, it does play a role. David: Exactly. Now we know you’re not a tipster per se and you don’t exactly market yourself in such a way but has there been any horse recently that has caught your eye. As you say you spend many hours every day watching videos many times over and getting the data goes along with it. Any horse in particular that stands out and you’re keeping an eye on? distance capabilities that are very new to the country. I think one of them is called Reliable Man if I’m not mistaken, who raced in one of those really good quality races and shows some tremendous data very late. It was a clear indicator that not only was a horse sort of giving out of condition but also showing that it needs a lot more distance and once that horse sort of steps up to that kind of 2000 metre range, I think we’re gonna see a really high level group one horse. David: We’ll definitely keep an eye on that one and I know it’s not your core business so we’ll leave it there for now. David: Thanks so much for coming on the show as our inaugural guest, you always remember your first. Vince: Thank you so much and I’ve had such a fantastic journey and all I can say is Champion Picks have definitely demonstrated the last couple of years, what a great outfit they are. And for people that are looking to, that have limited time and want their form done for them, what a great place to go! David: Appreciate that and we’ll also link out to Daily Sectionals in the show notes for this. Thanks again for your time and all the best! Vince: You’re welcome. Thank you, David.